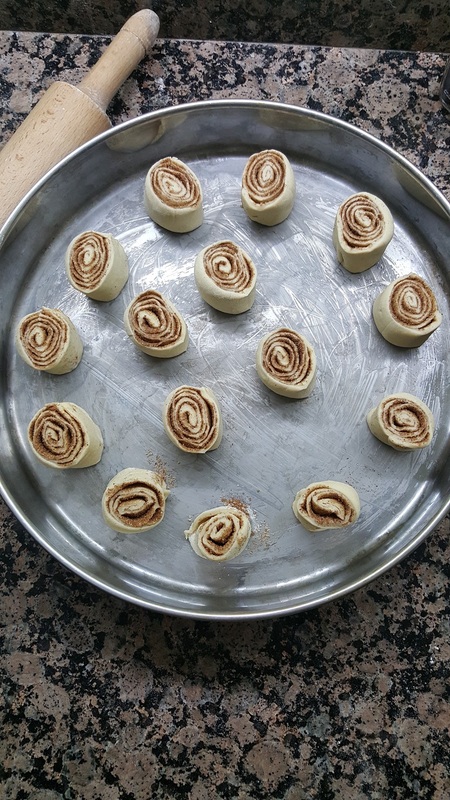 So many of my friends and family members keep asking me about the recipe for my cinnamon rolls. Every time I make a batch, it disappears within seconds in my household. These sweetly addictive little spirals of sugary, buttery dough taste heavenly. I always ditch the glaze and keep them somewhat healthy, and they’re perfect with your morning cup of coffee! Start by putting all the dry ingredients in your food processor and give them a wiz. Turn the food processor off and add in the egg and the melted butter. Turn it back on, slowly adding in the warm milk until the dough forms to the side of the bowl. Take the dough out of the food processor, sprinkle some flour on your counter and knead it for a good five minutes until it becomes smooth, elastic and resilient at the same time. Let it rest for an hour in a floured bowl, covered with a kitchen towel. 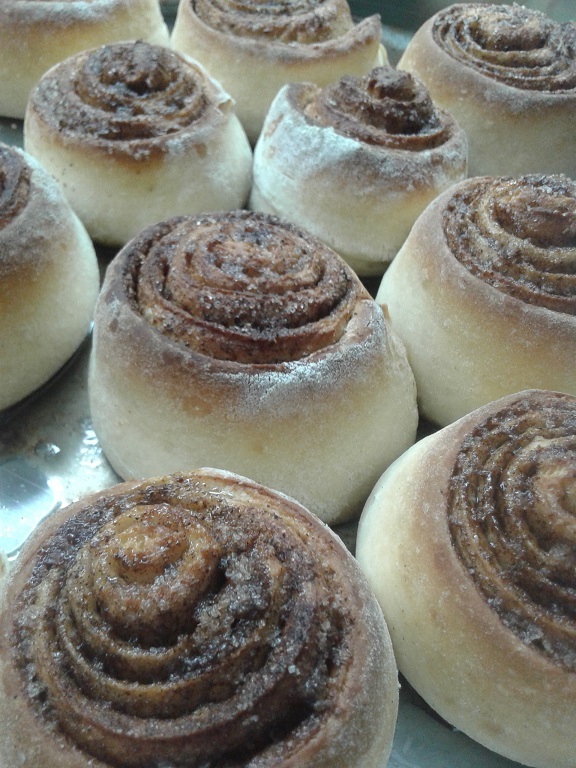 When the dough doubles in size, roll it out with the rolling pin, sprinkling it with some more flour, and then brush it with some melted butter just so that the cinnamon sugar mix sticks to it. 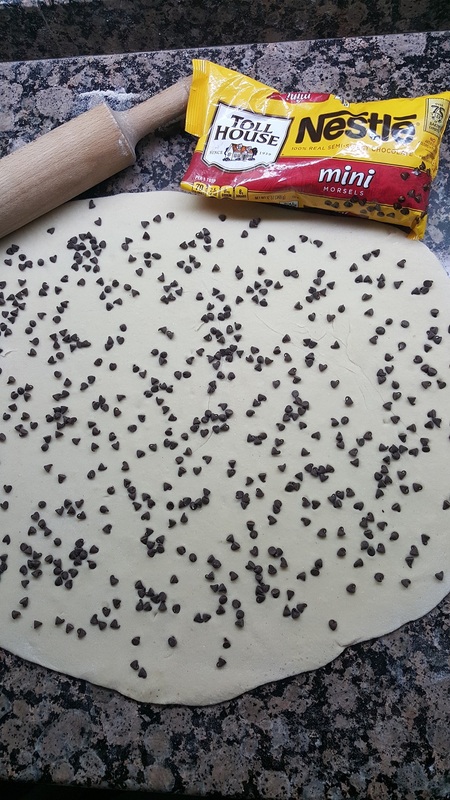 Go ahead and sprinkle it with said mix, spreading it evenly across the dough, and then start rolling it slowly until it’s all rolled out in the shape of a log. 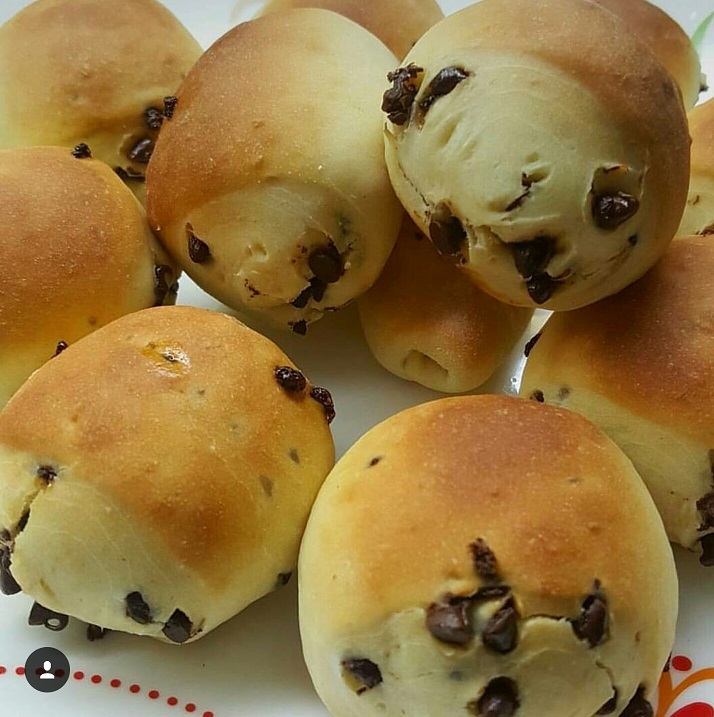 If you are making chocolate chip rolls, sprinkle the chocolate chips all over the dough and then proceed to rolling it. 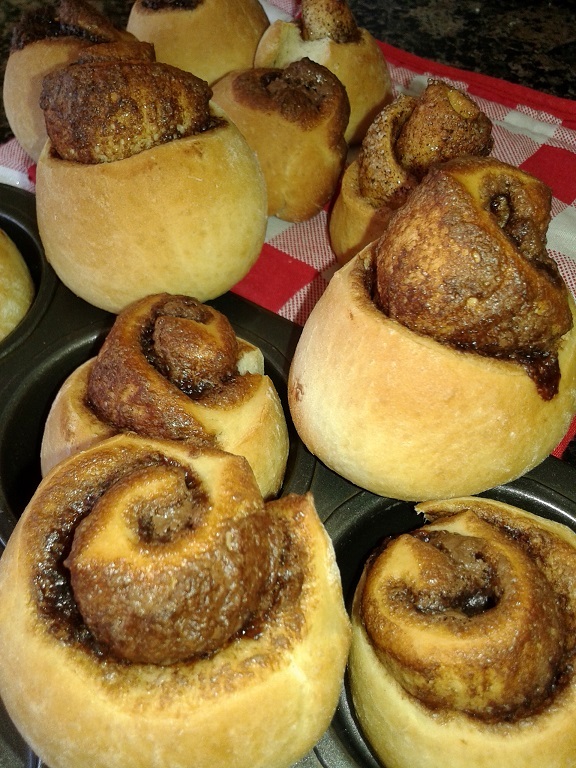 If you want to make a chocolate roll, spread the rolled out dough with the chocolate spread instead. 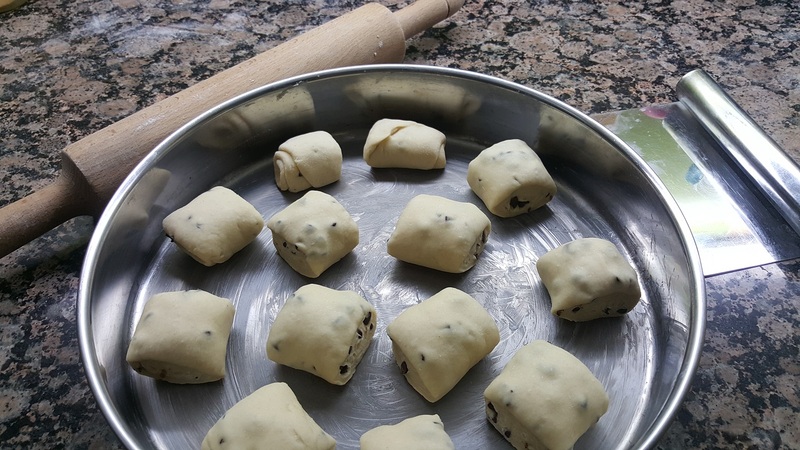 Cut the dough log into 2.5 inch thick disks and place the latter in a buttered pan, leaving space between them. Let the rolls rest for another 30 minutes before placing them in a preheated oven (200 degrees C) for about 12-15 minutes, depending on your oven. You can also brush the rolls with some milk before placing them in the oven, or with some egg wash if you like them shiny, but I don’t like the smell of eggs no matter how much vanilla extract I add to it, so I simply ditch it and place them in the oven as they are. Take them out of the oven when they are golden and slightly crispy on the outside, and enjoy them while they’re warm! Excuse the bad lighting, but these look amazing nonetheless! 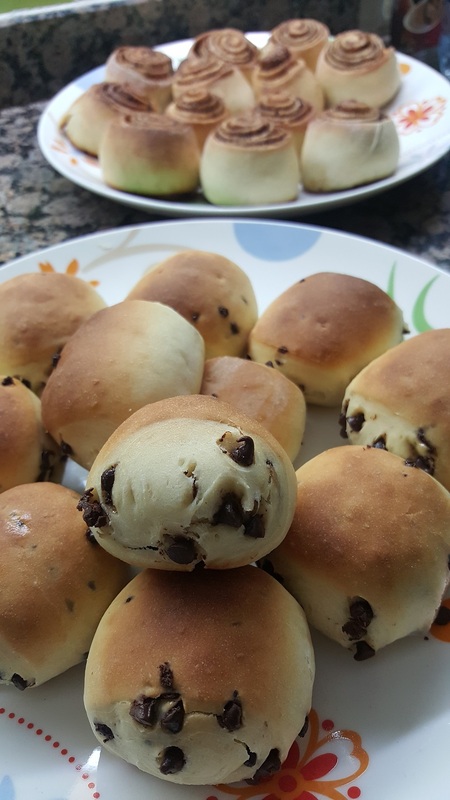 End result: chocolate chip rolls (brioche bread) and cinnamon rolls. Spoiler Alert: your house will smell divine! Cinnamon is actually really good for you. Check out all of cinnamon’s health benefits here.